1: There are an elite 10 actors to have been nominated for both a Supporting and a Lead Acting Academy Award in the same year. They are: Fay Bainter, Teresa Wright, Barry Fitzgerald, Jessica Lange, Al Pacino, Sigourney Weaver, Emma Thompson, Holly Hunter, Cate Blanchett, Julianne Moore and Jamie Foxx. 2: Robert De Niro’s thick Max Cady accent in “Cape Fear” reportedly gave Martin Scorsese the creeps, and as a joke, De Niro would call the director’s house, leaving messages as Cady. 3: Guillermo del Toro is famous for compiling books full of notes and drawings about his ideas before turning them into films, something he regards as essential to the process. He left years worth of notes for his film “Pan’s Labyrinth” in the back of a cab, and when he discovered them missing, he thought it was the end of the project. However, the cab driver found them and, realizing their importance, tracked him down and returned them at great personal difficulty and expense. Del Toro was convinced that this was a blessing and it made him even more determined to complete the film. 4: Tim Burton was slated to direct “The Fly” with Michael Keaton in the lead role, but he backed out and David Cronenberg took over. 5: Bill Murray has rubbed some collaborators the wrong way because he has a tendency to re-write and improvise his way through scripts until many of his scenes barely resemble the original versions. Most collaborators ultimately find though, it’s to the improvement of the films. 6: Michael J. Fox had always been the first choice for Marty McFly on “Back To The Future” but he was unavailable due to scheduling conflicts with his work on TV show “Family Ties“. Robert Zemeckis then cast Eric Stoltz as Marty based on his performance in “Mask“. 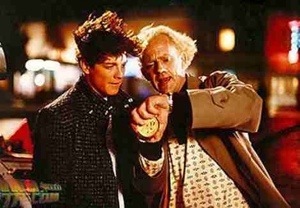 After four weeks of filming Zemeckis felt that Stoltz wasn’t right for the part and Stoltz agreed. By this stage, Fox was allowed to leave temporarily from his TV commitments and make the film. Reshooting Stoltz’s scenes added $3 million dollars to the budget. 7: In Paul Thomas Anderson’s “Magnolia” there is a telephone number (1877) TAME-HER shown on the “Seduce and Destroy” infomercials within the movie. 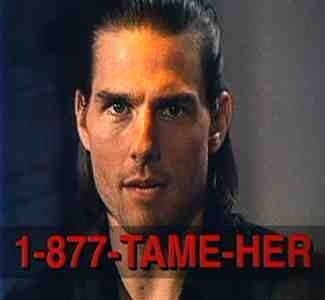 The character Frank T.J. Mackay is played by Tom Cruise and when dialling this number it used to give a recording of Cruise giving the Seduce and Destroy pitch. 8: Although he is barely interested in awards, Woody Allen is one of the Academy’s favorites – his 14 Oscar Nominations for Best Original Screenplay as of 2005 are a record for that category, and puts him ahead of Billy Wilder, who had 19 combined Oscar nominations for Writing and Directing. With 21 nominations in the combination of the top-three categories – acting, directing and writing – he holds the record there as well. 9: Peter Jackson’s first two choices for the role of Aragorn in “The Lord Of The Rings” were Daniel Day-Lewis and Russell Crowe. Crowe was excited about the prospect of being involved with a major motion picture in New Zealand, but couldn’t commit due to scheduling conflicts in America. Stuart Townsend was originally cast as Aragorn, but was replaced by Viggo Mortensen after four days of shooting because Peter Jackson realized that an older actor was needed. 10: “Reservoir Dogs” – In Mr. White’s (Harvey Keitel) flashback, Joe (Lawrence Tierney) asks him about a girl named Alabama. This is a reference to Patricia Arquette’s character from “True Romance“. Quentin Tarantino has stated that he originally intended this character to meet up with Mr. White and to become partners in crime. When “True Romance” was released a year after this film, the ending was changed and so this backstory became inconsistent because Alabama never went on to meet up with Mr. White. So there you have it. 10 esoteric Tidbits to masticate on. Some you may know. Some you may not. If you have any thoughts, stick your donations in the comment box. This entry was posted on October 7, 2012 at 3:06 pm and is filed under Uncategorized with tags 2012. You can follow any responses to this entry through the RSS 2.0 feed. You can leave a response, or trackback from your own site. Cheers man. Of course you already knew about that but the telephone messages were the reason I went ahead with it. Wasn’t sure if you knew about that part. Great info as always man, love the Cape Fear trivia. Thanks Vinnie. I really like that one too. Good stuff Mark, I genuinely look forward to these on a Tuesday now! I like the Magnolia and Reservoir Dogs info and I’m very glad that Mr del Toro happened to find a very selfless cab driver! Great stuff bro. Is it just me or does Jaime Foxx’s name stick out like a sore thumb on that #1 list. Just never been impressed with his acting. But WOW! 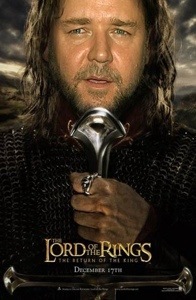 Russell Crowe as Aragorn? I’m a huge Crowe fan and that would have been epic. Luckily it was still epic thanks to Viggo’s fantastic performances! I’m glad you mention that about Foxx Keith. I totally agree. I’ve never been totally convinced by him and must admit that I was a little disappointed when Tarantino cast him in Django Unchained. That being said, he was admittedly good in Ray. Yeah, Day-Lewis is one of my favourites an I would have been happy with him or Crowe but in the end Mortensen was a fantastic choice. Very cool about the elite group on #1. Nice to see my faves Emma Thompson and Cate Blanchett on there, both VERY talented ladies. I forgot about Crowe being considered for Aragorn, but even though I like him as an actor, it’s hard to imagine anyone besides Viggo in the role now. Glad to hear some of your favourite ladies are amongst that elite Ruth. You may also notice that it’s a list of predominately Female performers. Totally agree on Viggo though. I love both Day-Lewis and Crowe but I’ve been a fan of Mortensen even before he was famous. He was always an actor that stood out for me. His performance in Sean Penn’s The Indian Runner and his cameo in Carlito’s Way where superb. 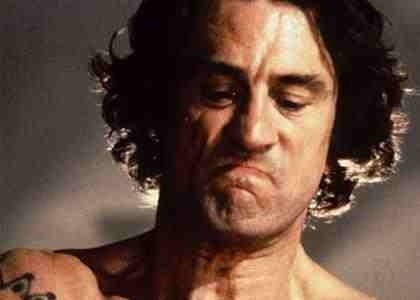 I obviously have missed out on a lot of Viggo’s movies, is Carlito’s Way the one w/ Al Pacino? I should give that one a watch one of these days. Excellent as ever!! Tuesday never disappoints!! Thank you sir! I’m always glad to hear positivity. By the way, I’ve still to get round a kick start on out forthcoming project. Hopefully soon bro. me too – I actually just dug my copy out of the closet and plan on giving it a view real soon – no rush my man! That’s good man. I thought my standards were slipping there and I might have been lagging behind. I also want to watch it without rushing. I want to really get into it. that’s right! for me this will be my most important one! In that case, I’m honoured to be involved on this one sir. If Bill Murray ever rewrote a script I wrote I’d be very happy. Nice trivia. Yeah, same here man. 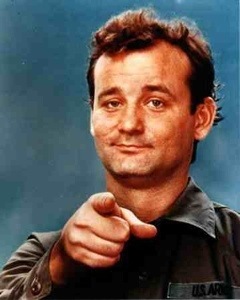 I certainly wouldn’t mind it if Murray was ad-libbing through my film. His humour and delivery is second to none. These are always great Mark. Amazing what ifs this week. Cheers Fogs! Glad you’re still enjoying them man. Nice points Mark! 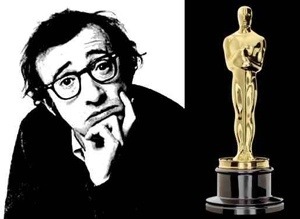 It’s weird that Woody Allen is loved by the Oscar’s, but yet, has only shown up to them once or twice in his whole life. Cheers Dan. Maybe that’s the way to do it. 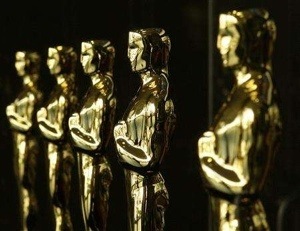 Dismiss the Oscars and don’t turn and maybe then the’ll throw plenty of awards your way. Another great post. All of these tidbits are golden! wow. that Lord of the Rings Russell Crowe tidbit…def didn’t see that coming. Some great tidbits here. Thanks for posting! Hi T. Thnks for stopping by. Glad you like it also. It’s a regular weekly post so you’re more welcome to swing by again. Cheers man. So glad Russel Crowe wasn’t Aragorn, Viggo Mortensen is absolutely perfect in this role! I’m also glad Burton didn’t end up making The Fly – there is no way the film would be as creepy as it is without Cronenberg in the director’s chair. I could have been happy with Day-Lewis or Crowe but in the end, I totally agree. Mortensen was fantastic in the role and it’s hard to see anyone else doing it now. As for The Fly, I’m normally convinced by Cronenberg but I just can’t picture Burton doing it right at all. Cheers Sati. Yeah, I not sure what happened to that cabbie but you’d hope that he was rewarded somehow. It’s sounds as if he deserved it. Thanks! Interesting stuff once again, man. Any idea why Daniel Day-Lewis didn’t pan out for LOTR? That’s a crazy thing to think about. Cheers Eric! Apparently Day-Lewis was offered the role several times but he kept refusing. He was definitely one of Jackson’s first choices. Love 3. Sooo glad that cabbie was a good guy. I LOVE that movie. Indeed Misty. It’s del Toro’s moment and without that wee cabbie, it might never have happened. I’ve always known Del Toro loves to draw, write, and compile all sorts of notes for his movies… but I can only imagine what they look like. I’d die to see them published in book form. Wouldn’t that be something? He should release them someday I’m sure loads of people would be interested. I certainly would. Thanks for stopping by Nick. Those almost castand casting changes always throw me for a loop. Say did you ever see the short film Welcome to Bleak House? Del Toro’s takes you on a tour of his headquarters and gives a bit of insight into his creative process. It’s amazing. It’s great to see you back Adam. In a lot ways i see you as my mentor LOL. You are always welcome here and glad to hear this Tuesday feature has found another fan. Every week buddy. I have seen Welcome to the Bleak House but it sounds great and I’ll definitely keep my eye out for it. Cheers bro. Three great actresses but Blanchett ended up getting one for playing Katherine Hepburn in The Aviator. (I think). I must double check that though. Thanks for stopping by man. It criminal that Julianne Moore hasn’t won one yet though. She’s one if my favourite actresses. I cant imagine Keaton in The Fly or Stoltz in Back To The Future. Also, it would completely freak me out to have De Nairobi talking on my machine. Thanks for the little facts. Thanks for stopping man. New TIDBITS will be up today. This is a really great feature! I love it. 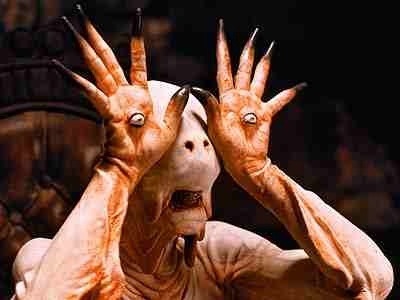 I particularly loved the one about Pan’s Labyrinth, but maybe because I really love that movie. Thanks man. It’s good to see you frequenting the establishment here 😉 Even better that you’re enjoying this feature. I’m happy to say, that I think most people are and it’s been going a little while now. An incredible standard of facts you have here. Number 3 is mindblowing! Yeah, Del Toro could have been prevented from ever bringing that modern masterpiece to fruition and that would have been a crying shame. Such a great film.